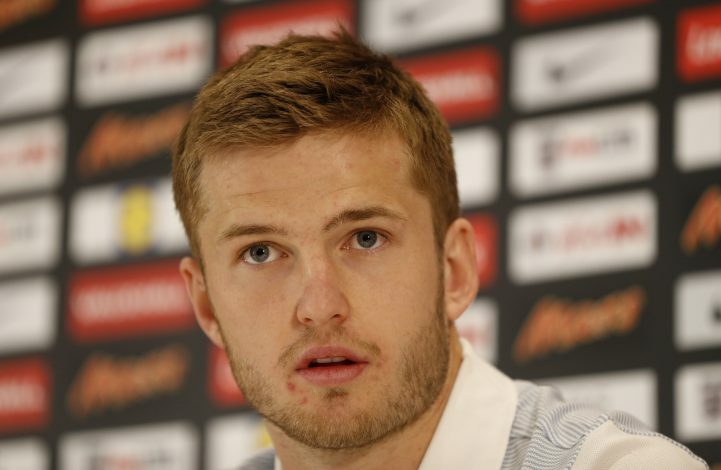 Mauricio Pochettino and Tottenham Hotspur have no intention of selling their young starlet Eric Dier this summer. The versatile English midfielder has been used extensively as a part of the back three by Pochettino this season, but the player has failed to make regular appearances at the White Hart Lane nonetheless. Though he is still settled at the London outfit, a number of rumours continue to do the rounds, claiming Manchester United are interested in securing his services this summer. In fact, according to reports, the Red Devils are ready to make a £40m move for the 23-year old in the upcoming transfer window. However, as per Sky Sports, Spurs have absolutely no intention of letting their prized youngster leave at the end of the season. QUIZ: Can You Name Every Premier League Stadium? Having joined Tottenham back in 2014 as a teenager, Dier took his time to break into the first team, but enjoyed a superb campaign last year. He cost Spurs just £5m as he moved from Sporting, and a £40m sale would represent a substantial profit over the starlet. But the sale may not take place at all, as Pochettino is convinced that Dier needs to stay at the club, and wants him to be an integral part of the squad next season. Capable of playing as a centre-back as well as a defensive midfielder, the England international has been in decent form off late, scoring twice in his last four league games. He is not quite in the bracket of Harry Kane and Dele Alli already, but he has the potential to become a world-class player for club and country, and could yet be tempted for a move to Old Trafford. His game time from now to the end of the season might dictate his future, but do you think Eric Dier will depart from the White Hart Lane this summer?